Out of all my HFW outfits, this outfit was the easiest to put together because it’s one of the many looks I’ve actually worn to work before! I’m working as an architecture lecturer, so for work wear I opted for something really comfy like this black skirt(skirts are always comfy!) and a chiffon leopard printed top. Being in the field of architecture, I’ve always considered fashion to be quite the same as architecture. It’s about presenting new ideas, being creative, creating the right proportion, knowing yourself and what you want to convey, making it inspirational, just like producing a work of art. I happen to love bright and bold colours, that’s why I added a touch of turquoise to the look with my headscarf. The tucked in leopard print top with the black skirt and belt shows a more serious, fierce side of me. It shows that I want my students to take me seriously but at the same time, the pop of colour says that I can still be fun and hip at the same time(hahaha, can stop laughing at myself!!). sis aishah always inspiring me ! stunning. Love ur blouse dear..=) leopard print!! Gorgeous outfit! Love the color combos. Its not yet HFW where I am but I can't wait for it! turquoise is a super great colour! love your style!!!! i sure damn make a good photographer hehe <3 miss u ecah. i'd fall head over heels if u were my lecturer! hahahaha amii amii ingat x mase kite amek gmbr ni..konon2 nak bwt mcm candid tp lawak je..huhuhuhu..
love ur heels... love ur skirt.. where you bought both of it? and ur skirt..so lovelyyyy..
those turquoise is so great! One of the best work wear outfits I have seen so far for HFW! 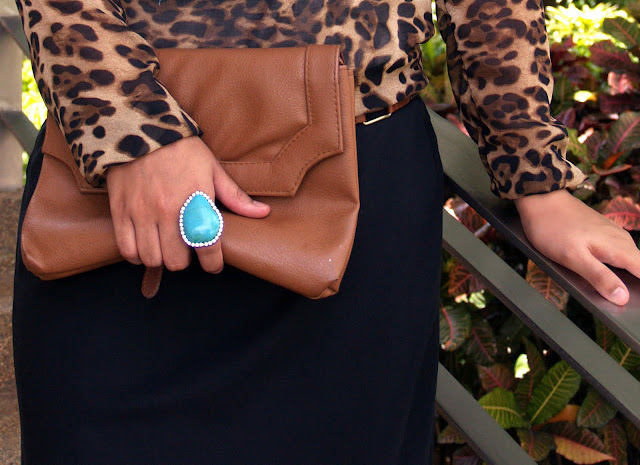 I loooove the leopard print and the turquoise accents. I would have never come up with that combo. Girl, if you were m lecturer, I wouldn't be listening to a word you'd say. I'd just be in awe of your attire. And I mean it in a good way! Haha. 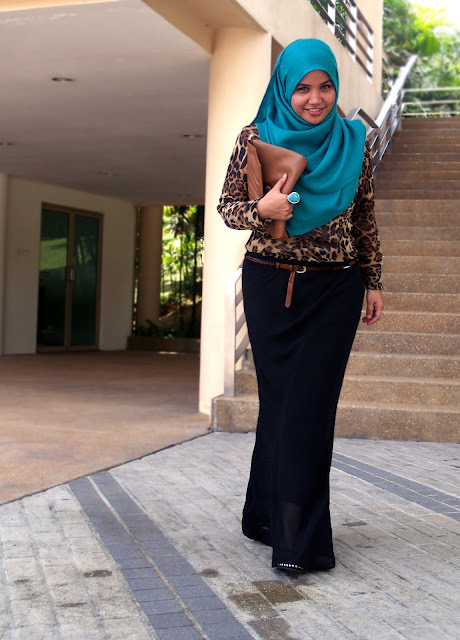 baju leoporddddddddd,suka gila lah !